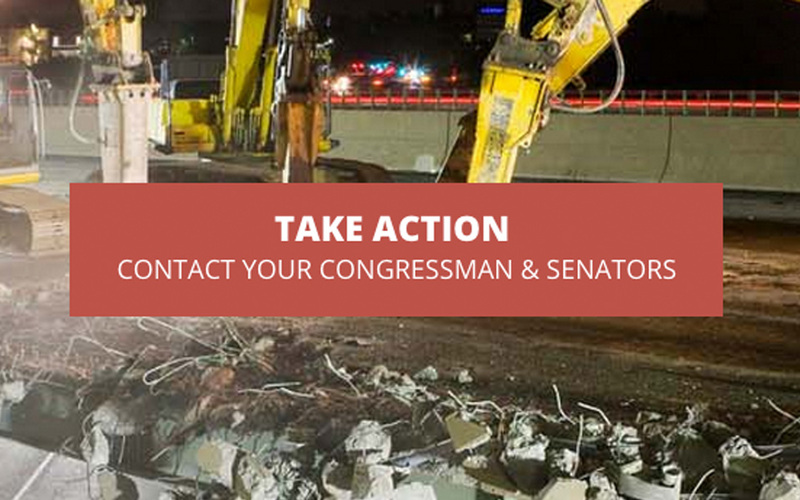 ARTBA members and supporters are being asked to step up their digital grassroots advocacy as a committee of U.S. senators and representatives are expected to meet the week of Nov. 16 to discuss their ongoing efforts to produce a final long-term surface transportation bill. Congress is facing a Nov. 20 deadline on the current funding authorization. Both chambers have passed six-year bills that contain important provisions to improve the process so that transportation projects can be built more quickly and efficiently, and to increase transparency in how the public’s tax dollars are invested. But both bills also fall well short of what the federal government says is necessary to maintain—yet alone improve—conditions on America’s roads, bridges and transit systems. By using ARTBA’s digital platform, industry advocates can urge representatives and senators, especially those working in the conference committee to resolve differences between the two bills, to ensure the final multi-year measure provides needed surface transportation investment increases. The digital platform takes only seconds to use, just a few taps to a smartphone or tablet. It will send emails to the House member representing the advocate’s home district, as well as their two senators, and also populate the elected officials’ Facebook pages and Twitter accounts. “The men and women of the U.S. transportation construction industry are expecting you to get the job done before the end of 2015,” the message concludes. Please send this link to your family, friends and colleagues.